This structure offers a detached garage apartment designed to enhance the value of your property while providing separate living quarters for your college student or renter. 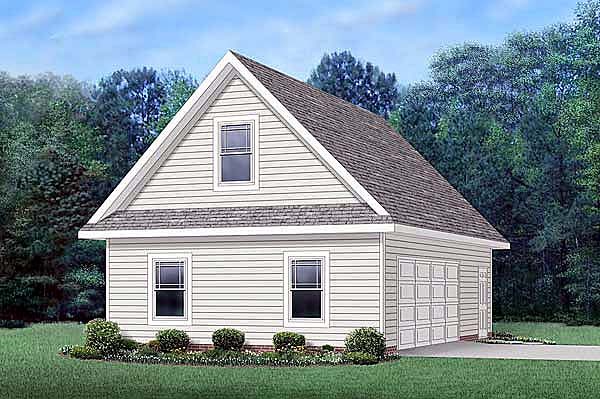 Also ideal as a guest house or home office, this plan has a two-car bay and a laundry room. Upstairs you’ll find a spacious bedroom, a private full bath, and a kitchenette with a pantry—all planned for comfort and efficiency within its 480 square feet of heated area. Question: how much ceiling height is there in the attic?is there enough ceiling height to make a man cave in it?what pitch roof would i have to have to make a man cave in the attic? Answer: Hey, There is 8' 11/2 " ceiling height in the attic. The plan already has a bedroom and bath apartment designed in it 13' 8" wide. Question: What is the ceiling height of the garage? I'd like to have 9' ceilings and an 8' garage door. Could the plan be modified to accomidate? Answer: The Biscayne garage ceiling height is approximately 9' 5 1/2" from the top of slab to bottom of ceiling joist. 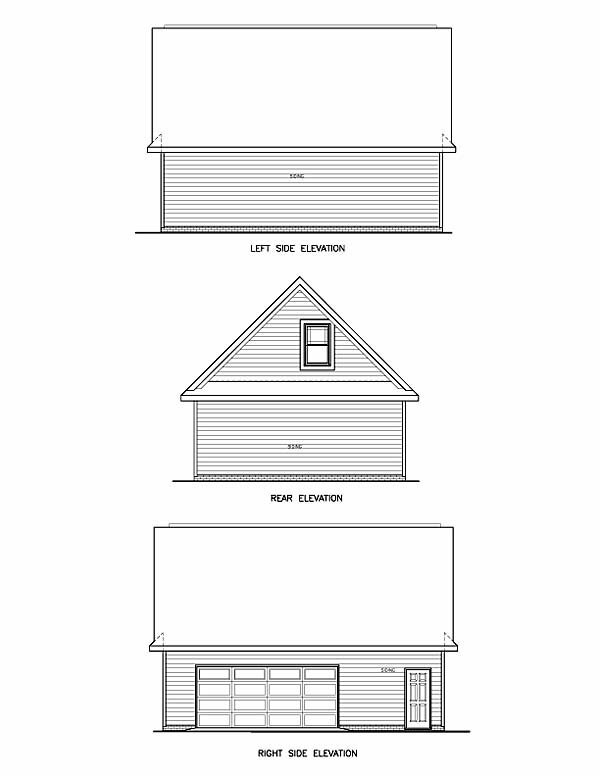 The plan currently shows a 16' X 7' garage door, but can easily be modified to utilize an 8 foot high door. The ceiling height can also be modified if you want it at 9'.